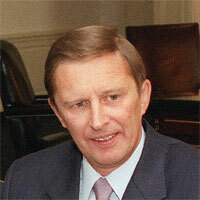 (Interfax – October 15, 2014) Kremlin chief of staff Sergey Ivanov has said that the house arrest of billionaire businessman Vladimir Yevtushenkov is damaging Russia’s investment climate. In an interview with popular pro-Kremlin tabloid Komsomolskaya Pravda, which was quoted by Interfax news agency, Ivanov said that “I agree, this [the arrest of Yevtushenkov] is having a bad influence of the investment climate” and called for a resolution to the case. Ivanov said he new Yevtushenkov “quite well”. “Under the leadership of Yevtushenkov, AFK Sistema and some of its subunits have done many useful things for Russia’s economy,” he said. On 16 September, Yevtushenkov was placed under house arrest on charges of money laundering relating to the acquisition of Bashneft oil company. Commentators have suggested that the criminal case could be part of a battle to take control of Bashneft, an AFK Sistema subsidiary.